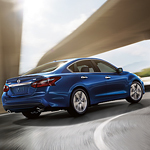 For many years, the Nissan Altima has been one of the best-selling mid-sized sedans on the road. The Altima provides a comfortable ride and a track record of reliability. The Nissan Altima provides several accessories that makes owning an Altima even more enjoyable. If you purchase a pre-owned Nissan Altima from Virginia Select Auto, you will want to make sure that your vehicle is protected from harm. One of the accessories available for the Altima is the impact sensor. This sensor sounds an alarm if the vehicle is dinged. If a break-in is attempted, an alarm will sound. What Design Features Do You Get With The Ford Taurus? The Ford Taurus is a popular full-size sedan, which prioritizes quality over everything else. But you may not know about some of the incredible design features that you can find in a pre-owned Taurus. Your friends from Virginia Select Auto have got the scoop for you. When you're driving through rough terrain, you want to have a vehicle with four-wheel drive. This feature can prevent you from getting stuck in mud and deep snow because it helps the wheels grip the road. If one wheel is slipping, another can compensate so that you don't stay stuck in one place. But there are actually different ways that you can use your four-wheel drive, and we want you to know the best ways to optimize the effectiveness of your vehicle, so here's the difference between four-low and four-high drive. 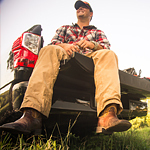 In order for our customers to be totally satisfied when they drive their new pick-up truck off our Virginia Select Auto lot, we want them to choose the truck cab style that best suits their needs. From powerful pickup trucks to fast sports cars, Ford is the best automotive brand that does vehicles well. 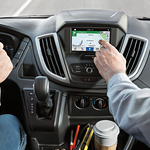 Let us introduce to you the all-new Ford Transit Passenger Van with many versatility features that will handle taking long trips effortlessly. The starting price is only $35,840 and has a seating capacity of 15, which is absolutely perfect for individuals and corporations in the tourism industries. The arrangement for the interior is simple because there is a large amount of passengers that can fit inside for a possible tour around Amherst. Rising gas prices are presenting serious problems for the finances of the average driver. In response to price increases, many drivers choose to purchase and drive smaller and more fuel-efficient vehicles. Hatchback vehicles often offer drivers smaller motors that make fuel efficiency a reality. Here at Virginia Select Auto, we enjoy helping our valued customers to make informed and wise purchases in the hatchback vehicle market. There are many hatchback styles and versions available on the market, but most hatchback styles offer drivers their choice of small, powerful motors. One of the best things that people can do is learn about vehicles and certain terms. Knowledge can be the very difference between a good experience with a vehicle and a bad experience. People who take the time to learn what certain terms mean and what they are talking about are going to be more likely to make sure that their vehicles remain in good condition. One example is the common mistake that people make when they talk about towing and payload. While it is often used interchangeably, these terms actually mean something completely different to one another. Get there early. You want to have time not only to eat, but also to clean up before the game starts. Plan to get there three or four hours before kick off. Get Out for that Spring Road Trip in a Used Vehicle from Virginia Select Auto! The spring season is in full bloom, ladies and gentlemen, and that means it's time for a road trip! Last time on the blog, we talked about spring car care tips to help you get started on a good season of driving but, if you don't have a vehicle just yet, then our enormous selection of used vehicles is sure provide you with all of your wants and needs behind the wheel. Virginia Select offers drivers from across the region access to the stylish, tech-savvy and efficient pre-owned vehicle they want at a price they can afford.